Is Pacioretty A Real Leader? This topic is up for debate. I personally think that he hasn't demonstrated the characteristics of a captain. Hope he steps it up soon. Thoughts? Should have been Gallagher or PK, but the team voted so what do I know. The guy is an outstanding person, who scores a huge percentage of this team's goals, and leads the league for 3-4 years in game winning goals, and is the only elite forward on this team, at a cut rate for pay for his abilities, playing most times with a defensive first center, kills penalties, and in his first year as Captain, the entire team crumbles with the loss of their main piece, Price. Which characteristics do you think he's not demonstrating? It's hard to discuss or debate this point with no specifics. He's fine. This team doesn't have an archetypal captain like Scott Stevens, Jonathan Toews or hate to say it, Zdeno Chara waiting in the wings, so it's a moot point. It's too soon to tell. I personally think he could give a little more effort some nights on the ice. Right. The question is a legitimate one, because Pacioretty's capataincy coincides with the worst team collapse since 2008. The correlation is striking. On the other hand, we don't know what goes on in the dressing room, between the players. The more precise critique seems to be that Patches is not always immune from whatever malaise it is that has swept through this team. Some nights he plays as though he, too, doesn't believe we can win. He's looked terribly demoralized at times. But maybe that just shows how much he cares. Heck, even Gallagher has shown signs of this malaise since coming back. He's -7 or something and has poor offensive totals. The only guy who seems to play with bona-fide conviction night after night is Subban. You never get the sense that he believes he will lose. But you can't say he 'should' have been captain, given that his teammates didn't want him to be. But I do wonder whether ending the 'four assistants' model and creating a team captain created, or more likely compounded, a rift in the room. Didn't hear much dissention when he was named captain, this question didn't come up in Oct or Nov, he is basically playing same as he always has and will likely end up with 30-35 goals? A captain should be a guy, IMO, who doesn't take many shifts off. Pacioretty takes many GAMES off...sometimes several in a row...where he isn't working hard at all. His numbers are reasonable, but a leader shouldn't float around and look like he's sulking very often...and Pacioretty looks like that on far too many nights. I always said we should keep the 4 A's it worked for us. Appointing a captain changed the dynamics in the room, and I think it is not for the better. This team's real leader is Price, who can't be captain. Last year it seemed to me that the leadership by committee worked very well. Can't change it back now, so they will have to work through it somehow. Should have kept the 4 A's. you already know why. I don't think the captain thing worked. Read my posts. I don't care if Pacs scores 35.. Too many shifts just coasting. A Captain should be a front of the net type player, not the perimeter sniper. Pacioretty is exact same player he has been the last few years. HR you are telling me that naming Pacioretty captain has anything to do with past two months losses? Maybe to Subban's ego, but other than that doubt it. I think HR's argument is straightforward. Last season, we had 4 'As' and the team won a lot of games and apparently had a great room and great internal dynamics. This year we changed that, and we have a lot of losses and none of the aforementioned good vibes. The captaincy may be completely unrelated to any of that. But then again it might not be. At face value, we should have left a successful recipe alone - not that most of us had any problem with naming Patches captain at the time. Its a ceremonial letter. People get way too caught up in who has a C and who has an A. Leaders lead regardless of the letter on the jersey.... and teams need a leadership core, not one guy. Yep. Just watch 24CH on tv. Subban actually talks a lot more than anybody else between periods. Subban just trying to fill the cheerleading role Gorges used to have. It wasn't all that ceremonial when Carbo and Chelios were co-captains. Now that was a disaster. That's a pretty compelling argument. I'm sold. -Fans can't really see through his monotonous pre and post game interviews, he doesn't speak with enough emphasis on specifics. -He decides when he wants to be a difference maker and when he wants to be a ghost. -His inability to go to the dirty areas seems questionable especially when games are on the line. -What is the teams record when trailing after 2? You barely see a collaborative effort and MT can only say so much. True Captians make their team rise to occasions, regardless of circumstances. Throughout this season, I haven't seen Pax put the team on his back being that piece and filling those skates. He seems more low-key and conservative with his attitude; which is fine, but not the type of guy you want wearing the C long term. I'll let the video do the talking for Subban. No Gorges wasnt quite as over the top as that, not sure if you mean video showed good Subban or opposite, or do you mean as an example of why there may be dysfunction in locker room? 1) Who cares what fans think of his pre and post game interviews? 2) Your perception? or the reality? Max is amongst the leaders in the entire NHL in third period goals over the last three years. He leads the entire NHL in Game Winning goals. The idea he is a ghost at key times just isn't reality. Are there some games he gets shutdown? of course but that happens to every player in the NHL. No team goes 82-0. The fact is that max has been a key player at key times. 3) This idea that max is a perimeter player isn't true. 4) The teams record when trailing after 2 is similar to every other team in the NHL when trailing after two. 5) There is more to leadership than Rah-Rah Cheerleading. 1) Most fans care about what their Captain has to say on matters and situations. That's a fact. 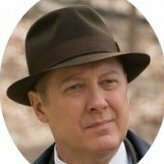 2) The fact is Max hasn't been Max this season and maybe getting rid of the C and going back to 4 A's would be beneficial, kind of what I was hinting at in the first place. Some leaders embrace it, others see dents in production because of it. 3) That's great and all but it's outdated by several years. It's about what he has done for the team lately as a LEADER. 4) Where are his 3rd period snipes this season? Thanks for providing some specifics - it makes it a lot easier to understand where you're coming from. - Pre/Post game interviews? Who puts stock in those? Heck, the one time Pacioretty snapped and said some actual meaningful comments in an interview, everyone jumped on his back. All captains around the league provide largely PC/meaningless answers in those, not just Pacioretty. - I would disagree that he picks his spots of when he wants to try. We've seen players - current and former - clearly dog it out there at times and turn it on in others. I wouldn't put Pacioretty in that category myself. 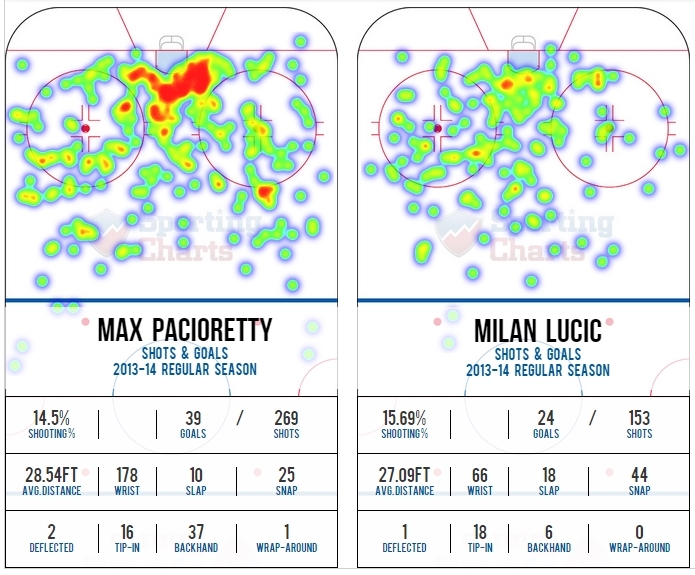 - Pacioretty isn't driving the net as much this year, I'd agree. Does his knee injury from earlier have something to do with that? Maybe, maybe not, but it might explain a bit. - It's not just on the captain to motivate. Players aren't going, "Well, Pacioretty didn't say anything to motivate me so I'm not going to try hard." Players should be able to self-motivate at this level and if not, nothing is stopping other players/alternate captains from speaking up. As Commandant noted, Pacioretty is among the league leaders in GWG's and 3rd period goals so I'd say it's fair to say he has put the team on his back in recent years. The Habs have three wins this year when trailing after 2 periods, tied for 9th best in the NHL (T-14th in win percentage with Pittsburgh, right around the league average). This is an organization that is highly low-key and conservative in nature. It's not at all crazy to think that they'd want their player spokesman (the captain speaks publicly the most) to be of a similar mindset. While they'd never admit it publicly, I'm pretty sure this is exactly who they were hoping the players would vote for as the captain. This is almost certainly who they want long-term as captain.